I love Indian food. My husband and I have lived several different places, but no matter where we are, we make sure one of the first things we find is a good take-out Indian food place. While I love some chana masala, or dal as much as the next person, my first love is the sides. Samosa, pakora, roti and naan. Now, most naan is made with yogurt and butter, which makes it decidedly not vegan. But it’s an easy substitute to make it with some non-dairy butter and yogurt. Throw in a pizza stone and you can recreate at delicious naan right at home! I’ve adapted this recipe to make it extra easy by substituting the yogurt for some non-dairy milk and lemon juice (since we usually don’t have plain non-dairy yogurt on hand). 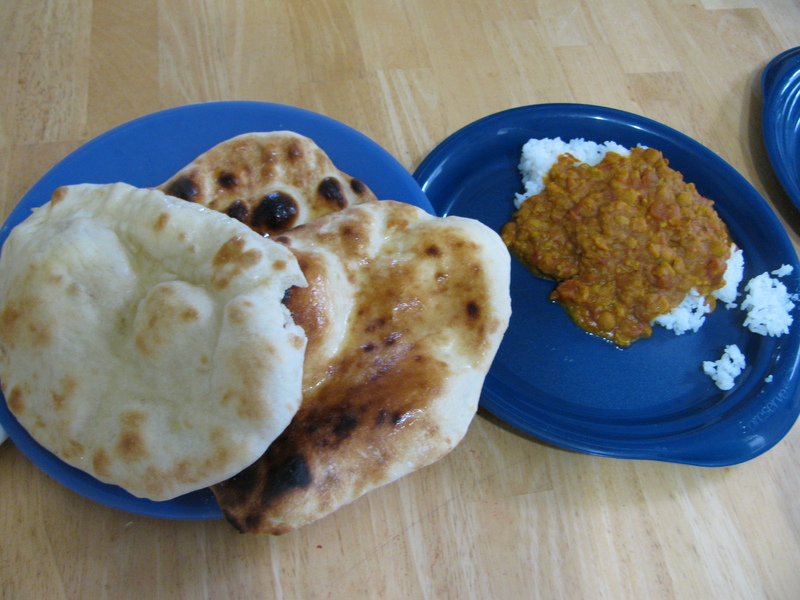 It may not be quite as tangy, but it is still puffy, toasty and delicious with some yellow split peas or chana masala! 1. Mix the non-dairy milk and lemon juice in a small bowl. Let it sit and curdle for a few minutes while you get the other ingredients out. 3. 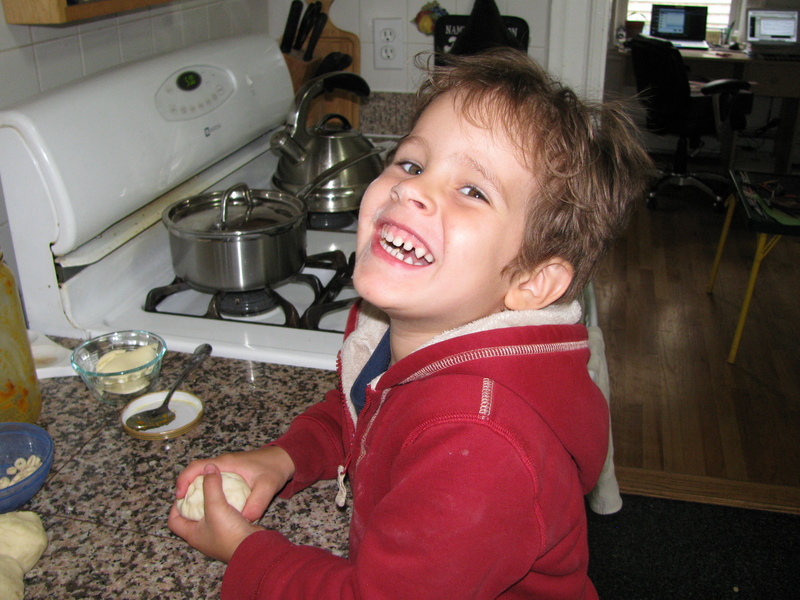 Add the oil and milk/lemon juice mix to the flour and mix until it is a crumbly dough. 4. Add the water, starting with 1/2 cup, and stir until it makes a soft dough. You may need to add a bit more water, up to an additional 1/4 cup. 5. 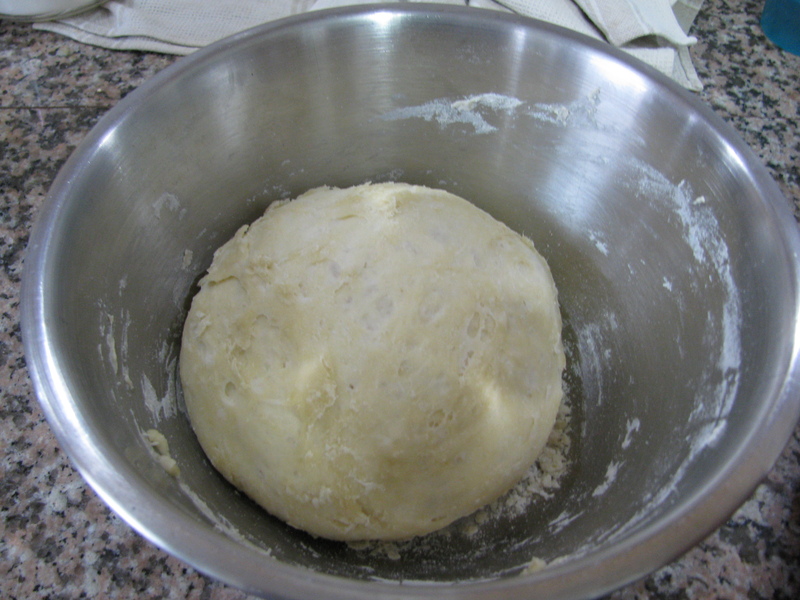 Knead on a floured surface until the dough is smooth. Cover the dough and keep in a warm place for 3-4 hours. The dough should almost be double in volume. Risen and ready for rolling! 6. Put the pizza stone in the second-to-top rack of the oven and heat the oven to 500 degrees (or 550 if it will go that high). Make sure the pizza stone is in the oven for at least 30 minutes to ensure that it gets fully heated. 7. While the oven is pre-heating, knead the dough for about 2-3 minutes. 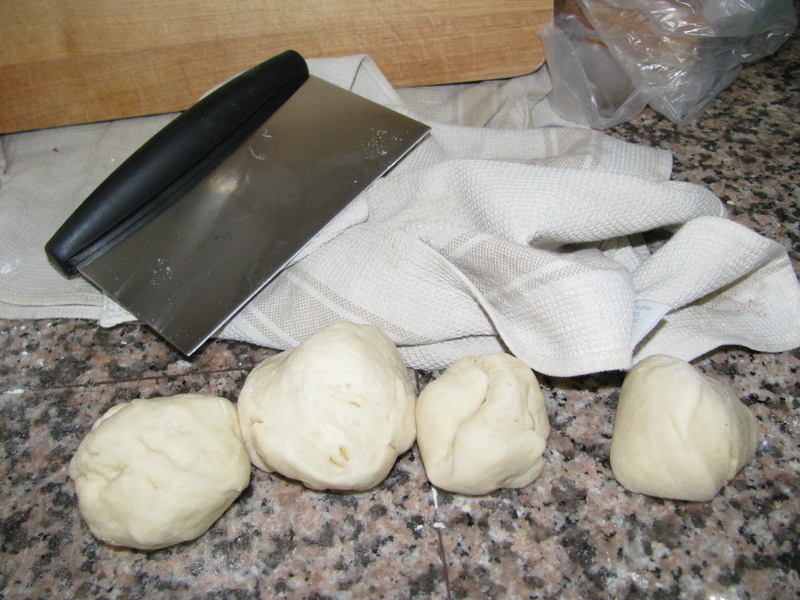 Then, divide the dough into 6 equal pieces. On a floured surface roll each piece into a ball and then roll each into a 8-inch oval shape. 9. 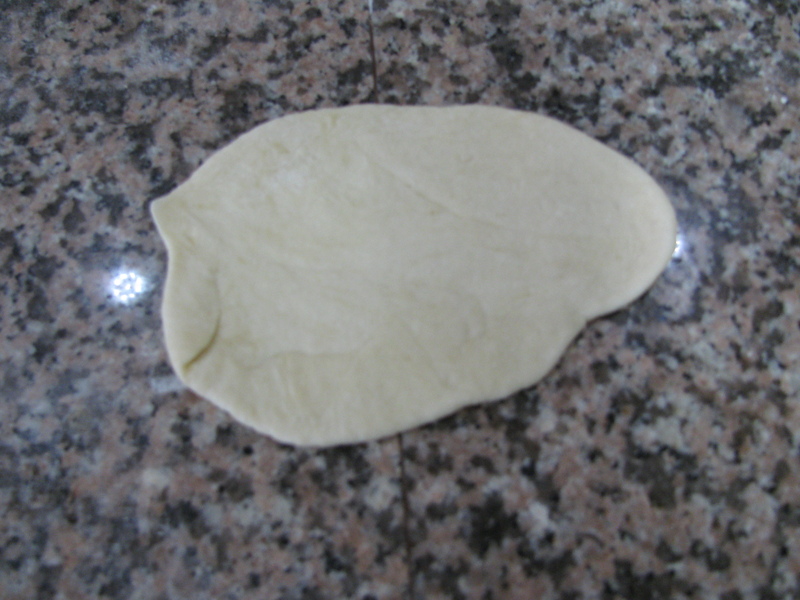 Before putting the Naan in oven, lightly wet your hands and take the rolled Naan, and flip them between your palms. Then place onto your baking/pizza stone into the oven. The naan should take about 2-3 minutes to cook. Keep an eye on it – the top should bubble and get golden brown. 10. Take naan out of the oven and brush lightly with melted butter. Let the pizza stone heat up again in the oven for 2-3 minutes between batches. Mmmmm . . . warm naan!